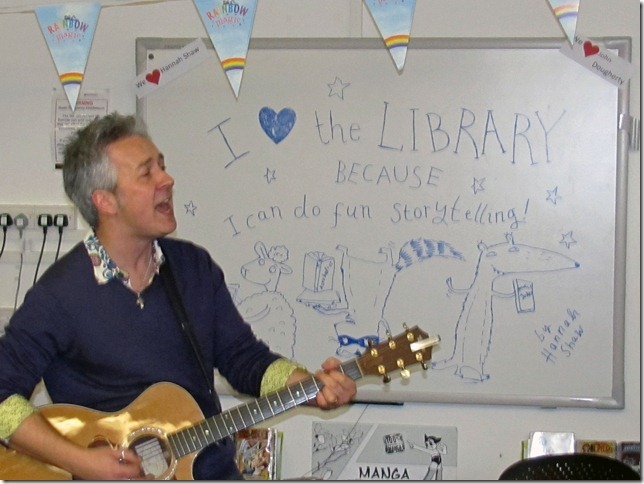 Children’s author, poet and songwriter John Dougherty is a regular on the school visit circuit, and was in Lancashire recently, helping promote the Fantastic Book Awards. You might have spotted a few of his books, like Zeus on the Loose, Zeus to the Rescue, Zeus Sorts It Out, Niteracy Hour, Jack Slater Monster Investigator, Jack Slater and the Whisper of Doom, Bansi O’Hara and the Bloodline Prophecy, Bansi O’Hara and the Edges of Hallowe’en, and Finn MacCool and the Giant’s Causeway. Then there’s his latest Oxford University Press series, set on the little island of Great Kerfuffle and illustrated by Mr Gum‘s David Tazzyman. 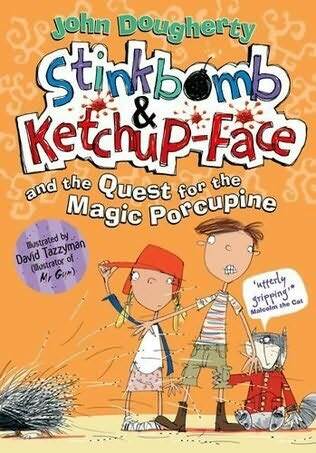 It’s fair to say that Stinkbomb and Ketchup-Face and the Badness of Badgers and its recent follow-up Stinkbomb and Ketchup-Face and the Quest for the Magic Porcupine are proving a hit. 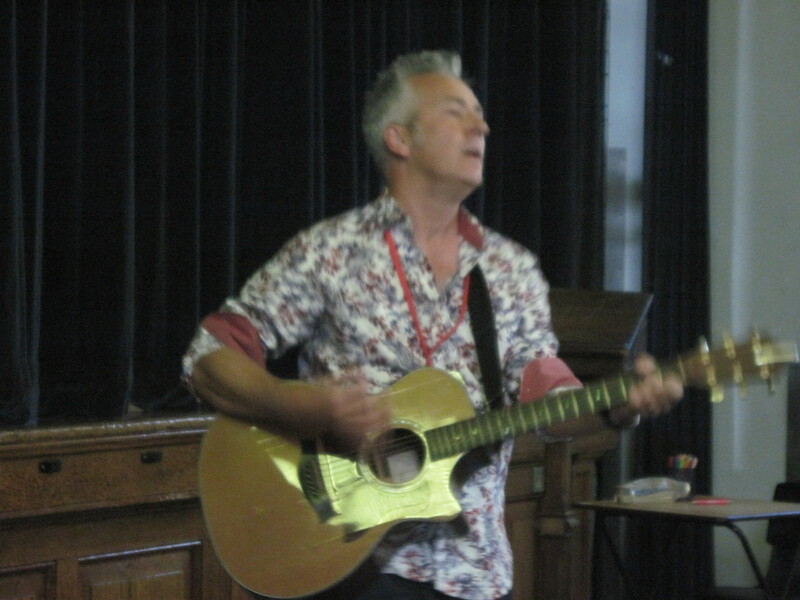 Despite all that, John’s only been writing full-time this past decade, but meeting him in person and seeing him win over a school hall-full of year sevens, you can see why he’s a rising star. He also has a neat line in colourful shirts. But that’s probably another story. 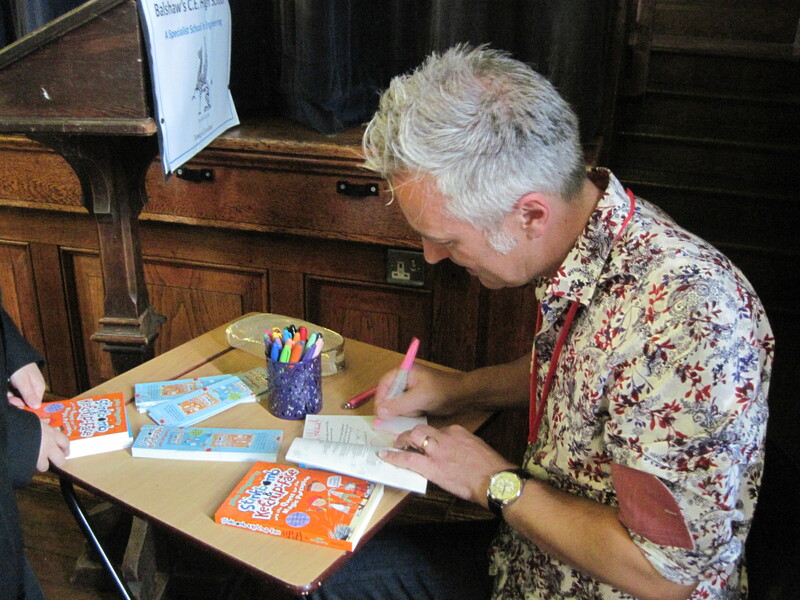 Within half an hour of his talk at Balshaw’s High School in Leyland, he’d made a lot of new fans and signed several copies of his latest comic adventure, one of those precious children’s books that should appeal to all ages. He’d even led the school’s newest intake in a sing-along about his book characters, and finished with another about clock-watching during lessons – something I’m sure we’ve all related to at some point in our lives. At least I’ll say it was about clock-watching, because I don’t want to spoil the surprise for others who might get to meet John in the near future. Let’s just say what started out akin to a Tracy Chapman ballad became something else, leading to sniggers from not only the pupils but the staff too. But as a former teacher himself, John has learned a fair bit about engaging kids of all ages. And for him the guitar is a necessary prop. He’s originally from Larne, but now settled in Gloucestershire with his wife and two children, aged 14 and 12, already proving perfect sounding-boards for his work. 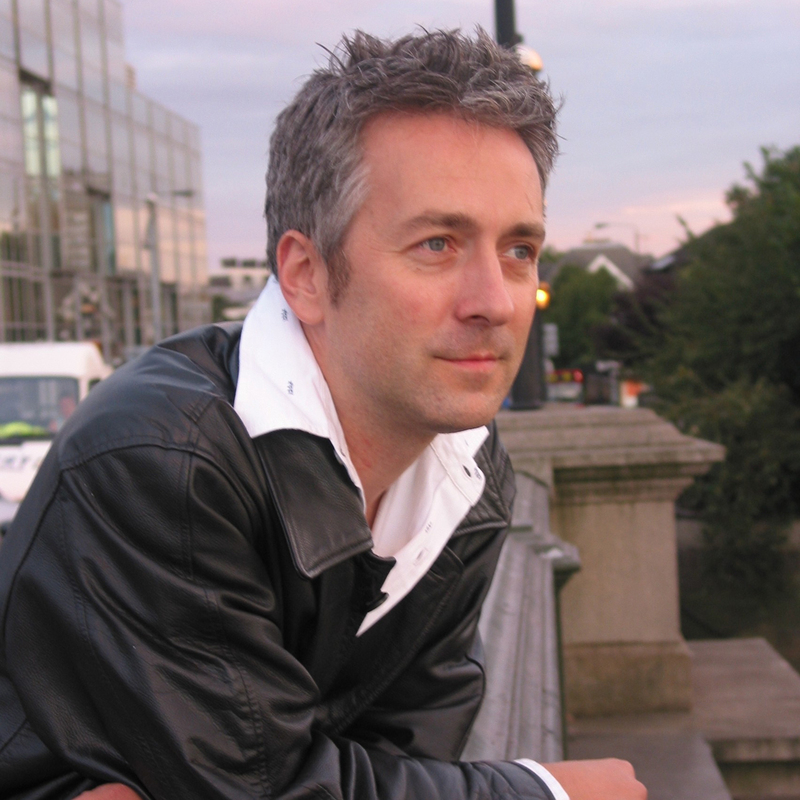 John left Northern Ireland after his psychology studies at Queen’s University, Belfast, but it was a long time before he turned his hand to full-time writing. There was a spell volunteering for Barnardo’s, and even time in a band, as I learned in our post-event conversation. “When I was a kid I didn’t know what I wanted to be when I grew up, and that was the case even when I did grow up. “As a young adult I wouldn’t really have dreamed I could make my living as a writer. I didn’t really have the confidence to think that could happen with someone like me. “Then I got to a point where I was writing songs and thought they were pretty good, and it would be great to have a crack at that. “I was in a band for about a decade, performing my songs, always getting to a certain level then something stopping us, never getting those breaks. 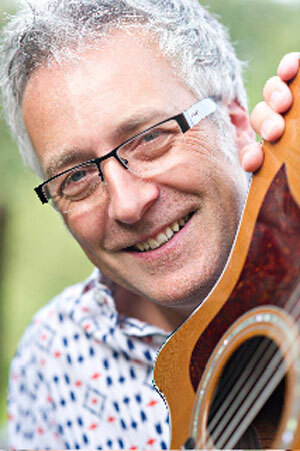 “And while in the band I trained as a teacher, in those days training courses still considering children’s literature an important part of primary education. His band started off as The Whole World, later becoming Calvin. John also proudly mentions jamming sessions with ex-Fairground Attraction singer-songwriter Eddi Reader. So was he mixing with a few people who went on to bigger things? “We were the level below all that, doing The Mean Fiddler, The Marquee, all those venues. But we did support The Four of Us once, where the second band was Cast. “We supported one or two name artists, including Bad Manners. That was really interesting – their audience weren’t our audience. But I think we did pretty well. John’s also released an album under his own name, Songs from the Water’s Edge Part One. He does however add on his website, ‘I never made part two. Maybe one day’. He did his teacher-training at Roehampton, going on to teach in Tooting before supply teaching around South-West London. Schools clearly remain important to him, long after his career switch. It was a brave move too, not least with writing hardly the well-paid occupation most would think. “I’m only just at the point – 10 years in – of honestly being able to say I’m making enough of a living to support myself. “Between the writing and the school visits I bring in enough of an income now, but it’s still on that edge. John mentioned Dr Who writer Stephen Moffatt in his talk, saying how the best TV writers make great stories out of the seemingly-mundane, such as statues coming alive, or cracks in the walls. Is that something he’d like to try out, writing for the small and big screen? John seemed slightly nervous ahead of his talk. But he worked his audience well. “Having been a teacher helps enormously. And being a supply teacher helped enormously. “Having had three classes of my own, then going into a situation where every day I could be meeting a new bunch of kids, I had to build a relationship with them very quickly to be able to get any work done. Most days I did that and did it well. “There’s always the odd time when you meet a class completely resistant to somebody new or something you do gets you off on the wrong foot. Did he ever take in his guitar? John certainly did that, and even before he was published he was giving talks as an author at schools, after a mutual friend inviting him in for World Book Day. “I was timetabled for around 20 minutes for each class. I was thinking I had no idea what I was going to do, so decided to take the guitar. “I linked the fact that I’ve written a book with the fact I wrote songs, and how there are different ways of telling stories. “I read a bit of my book, and asked if they had any questions. I was amazed straight away when all these hands went up. Time didn’t allow a Q&A during his Balshaw’s session, but John still proved a big hit, even though he feels it’s extremely difficult to win over year sevens. ”They’re already getting into a different way of being, so some of the things that work with primary school just don’t work. I’ve seen that myself from work in junior schools. They come up with great questions. “Some really interesting ones. In a school in Birmingham last year a kid asked how being a writer had affected my personal life. From a 10-year-old that was amazing! John suggests on his website his own school days weren’t the best. Did he have inspirational teachers? “I had some perfectly nice teachers, but the only really inspirational one was Ian Maxwell, who took me for maths in the first couple of years of secondary school. “He was one of these charismatic guys with a great sense of humour who hardly ever had to get cross. Everybody liked him. He was very fair and very funny. 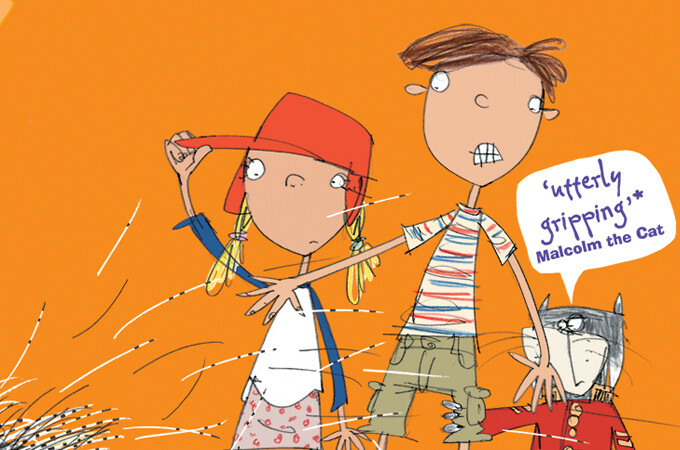 Zeus on the Loose proved to be John’s breakthrough, and was shortlisted for the Branford Boase Award in 2004. But it wasn’t the first publication for an author who started out as a songwriter and poet and only occasionally wrote stories initially. “The first time I decided to write a story and finish it, see if I could write something publishable, it was a very bleak story. “They say everyone’s got a story inside them, and I think sometimes you’ve a book inside that you have to get out before you can do anything else. This was mine. “In terms of structure and so on it wasn’t terrific, but it was something I needed to express, and really just start creating. “Most of my stuff is on computer, but I’m not even sure if I have a copy. I probably have a printed one in a box in the deep recess of the attic. “I’d certainly like to read it again and remind myself. Also around that time or maybe earlier I wrote a couple of graphic novel scripts I’d like to go back to. “But the first I sent to a publisher was a series of slightly surreal stories, including one about a boy whose brain was too big to fit into his head and a girl with a pig stuck up her nose! “I sent them off and got lots of rejections but got one email back from Sue Cook, an editor at Random House, who said I can’t publish these but like the way you write and would like to see anything else you write. “Everything else I wrote I sent to her, and she took the time to guide me and give me advice until I got to the point where I was writing something she wanted to publish. Can John describe the big moment when he was finally published? “I always imagined it would be one big ‘wahoo!’ moment, but it actually wasn’t. It was a series of small happy moments. “First you get this indication that they like this story and they’re going to look at it again, then you get the indication they’d like to talk to you about it and wondered if you could change it a bit. “Every time it’s encouraging but you don’t want to get too excited. It might all come to nothing. “By the time it finally does get to being offered a deal you’ve a lot of that excitement and it’s great, but it’s not like you imagined. Just before his closing song that morning, John made a point to his young audience that there’s no wrong age for reading a book – stressing that you’re never too old or too young, and not to let anyone tell you otherwise. So does he have a reader in mind when he’s writing? Is it John Dougherty the 12 or 13-year-old, perhaps? “It could well be me – now! I really don’t know. I don’t think I have anyone particular in mind. I’m thinking about the story rather than the person who’s going to read it. That said, he does admit to trying chapters out on his children. “I do these days, although they were a bit too young when I started. With Stinkbomb and Ketchup-Face I write one, then take it in and read it to them. “They’re very encouraging, When I wrote the first, their reaction was what made me think I had something that would really work. John’s past publications include a retelling of the Irish legend, Finn McCool. Was that folklore important to him growing up? “It wasn’t really. In Northern Ireland, sadly, to become immersed in Irish culture was to make a political statement, or it certainly was when I was growing up. “It still is in a lot of places. I went to a state school rather than a church school, and didn’t really get that much of a grounding in all that. “I do remember being told the story of Finn McCool, but it was kind of unusual for us to get any kind of Irish culture. John is also a keen contributor to the An Awfully Big Blog Adventure website, and has also proved fairly outspoken on a number of hot issues. That has included fighting NHS cuts and threatened hospital closures, and coming out against budgetary constraints that have seen libraries axed. With the latter in mind – knowing he’d always been an avid reader – I asked if he was a regular book buyer or library user as a child. “My parents weren’t the sort who would buy a treat every time you went out, but one thing I could be fairly sure of was if we went into a bookshop I’d be bought a book. “I’ve quite a clear memory of being age seven and getting a Famous Five book, going home and holding it, being so eager to read it. “But I used the library all the time. Most Saturday afternoons I’d be down there, borrowing a book, or browsing the shelves as a teenager. I still love libraries, and think they are incredibly important. “In the second Stinkbomb and Ketchup-Face book I make a point of referring to the library as the most important building in Great Kerfuffle. “Libraries are hugely important and it’s very sad we seem to have a lot of people in education or in power who don’t seem to understand that. “If you’re rich enough to be able to afford your own library at home, you don’t necessarily see a free public library being of any use. Back on the subject of Stinkbomb and Ketchup-Face, it appears that John has an almost-unhealthy dislike for badgers. Is it really a good time to be saying this, amid the current cull? “I’m absolutely opposed to the cull. Culling badgers is a very bad idea. They actually need putting in prison. That’s what I think – they should be taught to mend their ways instead! “I do think badgers are amazing animals, but find it funny that they’re characterised the way they are in fiction. Maybe it’s down to Wind in the Willows. A lot of people think that’s what they should be like in children’s books as a result. 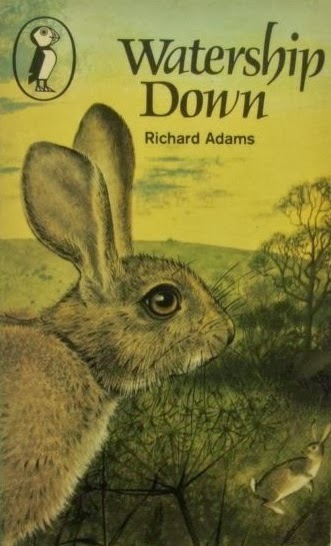 “The first time I met a badger who wasn’t like that was in Watership Down, one of my favourite books. That badger is kind of a threat and there’s something brutal about it. There’s a real skill to writing children’s books with great animal characters. Yet one of my favourite authors, AA Milne, was criticised by some (heathens!) for jokes above the child’s head. “With Winnie the Pooh and The House at Pooh Corner there’s a lot of stuff that can be appreciated on different levels. And I appreciate pieces now that I wouldn’t have thought about as a child. “I don’t think that’s talking above children’s heads though. It’s simply about writing something good and something of value that can be appreciated by people of all ages. “That’s what I like to think I do, and I’ve certainly had a lot of good feedback from adult readers. “Some of my favourite reviews are ones saying they read my books to their kids and laughed as much as they did. That’s what I’m aiming for. “Books are very much pigeon-holed into children’s or adults’ books, whereas at the same time we have family films, pitched at all of us. There is something else I feel I should broach with John, and that’s him calling one of his characters Malcolm? What kind of name is that for a cat? OK, I concede that, not least as it reminds me of once over-hearing someone in a pub garden addressing their dog as John, oddly enough. I share this information, and John is at once inspired to share another family story. “My wife was planning on bee-keeping at one stage, and one morning at breakfast one of the kids said, ‘If we do get bees, I want to call one of them Stuart’. So are there any current authors he would hold up as an example to us all? “Loads! 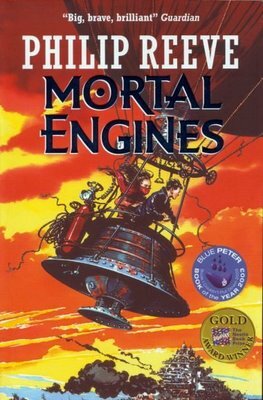 In some ways it’s a little unfair to pick out a few, but someone whose work I consistently enjoy is Philip Reeve. I think he’s brilliant and has a great imagination. “Then I’d say Jonathan Stroud. I’m looking forward to Lockwood & Co, and like the Bartimaeus trilogy. But time is against us, with John expected at another high school up the road, Brownedge St Mary’s in Bamber Bridge. I ended by complimenting him on his closing song to the Balshaw’s year sevens, not least it’s mid-song change of direction. “Well, thank you! One of the thing I love doing with writing is playing with people’s expectations. 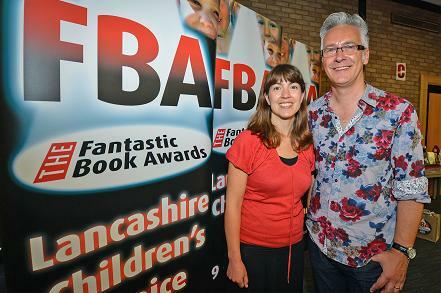 John Dougherty took time out while visiting Lancashire to help launch of the latest Fantastic Book Awards, part of the scheme’s 10th anniversary celebrations. He joined fellow children’s author – and 2014 FBA winner – Emma Barnes and teachers from 120 primary schools across the county at a conference to launch the awards, run by Lancashire County Council’s School Library Service. The awards were established in 2005 following the success of the Lancashire Book of the Year award for secondary age students. The idea is to encourage reading for pleasure and enjoyment for nine to 11-year-olds, introducing them to newly-published fiction titles. A selection of six books, from a list of 30, goes to participating schools at the start of the autumn term, together with an introductory pack and promotional materials. The books are usually read in the form of a book club, with titles discussed and opinions shared, fostering enthusiasm for reading as a social activity. Pupils in school years five and six from all over Lancashire read and discuss the titles throughout the autumn and spring terms. Voting takes place at the end of the spring term and then schools await the results and the announcement of the eventual winners. The winning authors receive high-quality fountain pens as prizes, and each school and all participating pupils receive certificates celebrating their achievements. Books are divided into five groups of six titles, with each school receiving two copies of the titles on the shortlist, with all the titles first published in the UK between April 1st and March 31st in the previous 12 months. 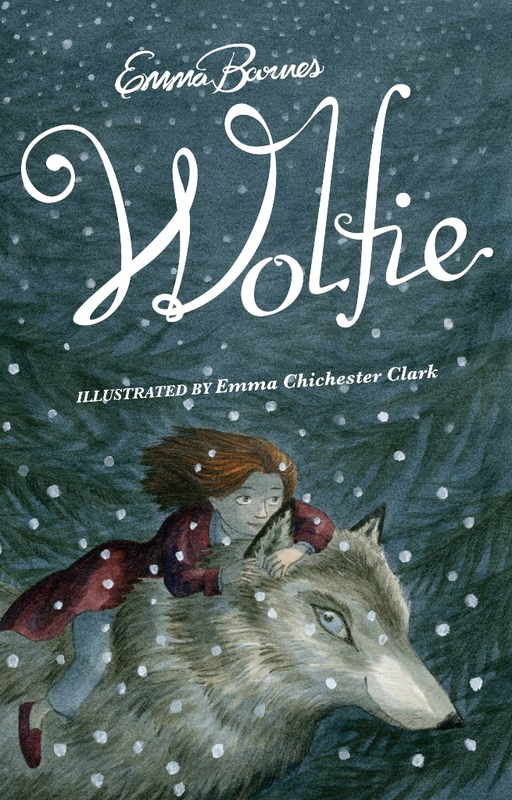 Emma Barnes’ Wolfie was among five winners for 2014, with Adam Perrott’s The Odds, Sally Gardner’s Operation Bunny, Eleanor Hawken’s Sammy Feral’s Diaries of Weird, and Jennifer Gray’s Atticus Claw Breaks the Law. To find out more about John Dougherty, his books and school visit programme, head to his website here. 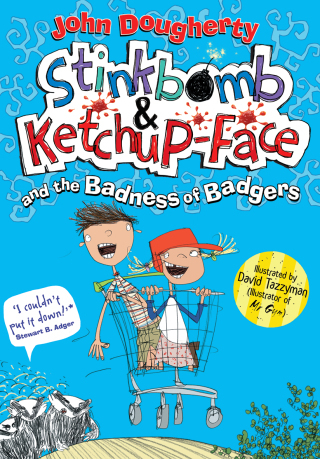 This entry was posted in Books Films, TV & Radio and tagged badgers, Emma Barnes, Fantastic Book Awards, John Dougherty, lancashire, Larne, Libraries, Philip Reeve, schools, Stinkbomb and Ketchup-Face, Zeus on the Loose. Bookmark the permalink. hi I love all your books but why did you want to become an writer. please answer soon bye. Thanks, Samantha – that’s very kind! In short, the answer is that I love books & stories, and wanted to see if I could write something other people would love too.